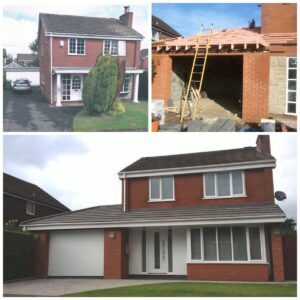 CK Installations of Standish provide a complete service for all your home conversion needs. With a team of industry professionals and years of experience, not to mention happy customers we take care of everything for you. Extensions and conversions can transform your life and add many thousands or pounds to the value of your home and improve the way you live, more space for the children, a room to relax for you. Extensions and conversions are the prefect solution to space issues around the home and can be the perfect way to provide teenagers and 20 somethings with a real place to live while remaining saving up – it’s a win win. Why not contact CK Installations of Standish, we can provide you with a no obligation service to get the ball rolling.